A superb collection of short stories from Reginald Hill, the award-winning author of the Dalziel and Pascoe novels and `the best living male crime writer in the English-speaking world' (Independent) In suburban Luton, a private detective on his first case discovers that curiosity can kill more than just the cat... meanwhile, in wartime Boulogne, one officer will do anything to ensure that his men are ready to kill for their country... and in Stalinist Moscow, Inspector Chislenko must find out why three people have just witnessed a 50-year-old murder. From France to Russia, the 1830s to 1916 and the present day, Reginald Hill has crafted half a dozen tantalizing tales of the unexpected. He asks questions that will intrigue and gives answers that will astound. 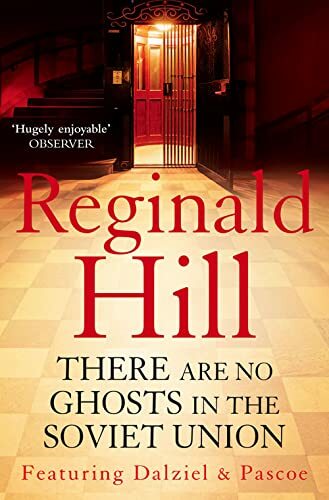 Featuring some of his best-loved characters, among them Joe Sixsmith and, of course, Dalziel and Pascoe, this is Reginald Hill at his devilish best.